Shot using a single camera, 90 people meticulously recreate a failed bank robbery that took place in Stockholm in June 2006. 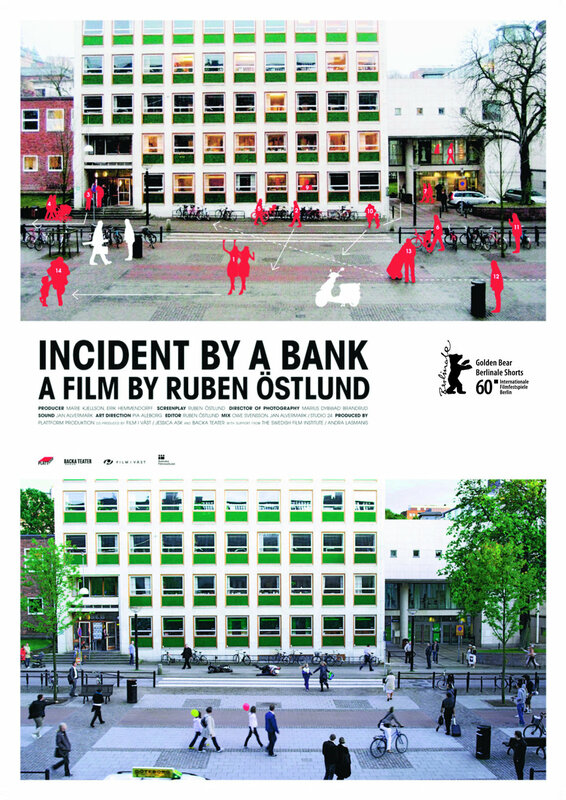 “Incident by a Bank” is a unique instance of life imitating art (the real robbery), only to be later imitated by art (the film itself). However, the line between fact and fiction only got blurrier after the film was released, according to an anecdote from Östlund: “During the shoot I had a couple of extras film the robbers with their cellphones. That material was used as a promo for the film. Half a year later, I get a link from a friend who watched an American TV show called ‘The Top Ten Dumbest Criminals in the World.’ In seventh place, they used the clip from the shoot, claiming it was authentic material.” Should we really be that surprised?